Ellie was never particularly good at talking to boys—oranyone other than her best friend and fellow outcast, Ruth.Then she met Michael. Michael is handsome, charming, sweet. And totallyinto Ellie. It’s no wonder she is instantly drawn to him.But Michael has a secret. And he knows Ellie is hidingsomething, too. They’ve both discovered they have powersbeyond their imagining. Powers that are otherworldly. Ellie and Michael are determined to uncover what theyare, and how they got this way . . . together. But the truth hasrepercussions neither could have imagined. Soon they findthemselves center stage in an ancient conflict that threatensto destroy everything they love. And it is no longer clearwhether Ellie and Michael will choose the same side. In this electrifying novel, Heather Terrell spins agripping supernatural tale about true love, destiny, and thebattle of good versus evil. Heather Terrell is the author of The Chrysalis, The Map Thief, and Brigid of Kildare. Before she started writing, she worked as a lawyer, and she has more than ten years' experience as a litigator at two of the country's premier law firms and for Fortune 500 companies. A graduate of Boston College and Boston University School of Law, she now lives in Pittsburgh with her family. 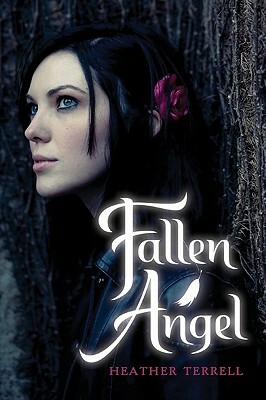 Fallen Angel is her first novel for young adults.